Himachal Pradesh staged a brilliant fightback following-on after Ashok Dinda grabbed a five-for in a superb pace bowling display along side Mohammed Shami. Himachal Pradesh staged a brilliant fightback following-on after Ashok Dinda grabbed a five-for in a superb pace bowling display along side Mohammed Shami before the visitors reduced the deficit to six runs against Bengal in a Ranji Trophy Group D match, on Friday. In reply to Bengal's 419, Himachal, the Group D leaders, were bundled out for 206 in their first innings with Dinda grabbing 5/61 and complemented well by Shami (3/94) as the hosts enforced a follow-on in the first session. Bengal, however, could not capitalise on their big 213-run first innings lead on an innocuous Eden wicket as Himachal ended the penultimate day at 207 for 2 when bad light stopped play in 58 overs. Bengal 419 vs Himachal Pradesh 206 in 56.2 overs (Sumeet Verma 64, Priyanshu Khanduri 52; Ashok Dinda 5/61, Mohammed Shami 3/94) and f/o 207 for 2 (Prashant Chopra 81, Priyanshu Khanduri 67 batting, Nikhil Gangta 43 batting). Akshdeep Nath struck his second first-class hundred, a rather timely one, to put Uttar Pradesh in a strong position after they took a slender first-innings lead against Delhi on day three of the Ranji Trophy Group A on Friday. During the fag end of the day, there was a security breach at the ground as a man in an allegedly inebriated state, drove onto the pitch before being detained by the security personnel. In the match, in response to UP's 291, Delhi could only get to 269 after resuming the day at 228 for six with overnight batsman Dhruv Shorey running out of the partner to miss out on a deserving hundred by two runs. In the second innings, Delhi had UP on the mat at 21 for four before Nath (batting 110) and Rinku Singh (64) forged a potentially match-winning stand of 108 runs to steer to their team to 224 for seven at stumps on day three, leading the oppostion by 246 runs. UP 291 and 224/7 in 63 overs (Akshdeep Nath batting 110, Rinku Singh 64; Ishant Sharma 3/38). Delhi 269 in 87 overs (Dhruv Shorey 98; Saurabh Kumar 4/87). Siddesh Lad's strokeful 117 and the bowlers' fine performance put Mumbai in the driver's seat against Odisha at the end of the third day in a Ranji Trophy Group C match on Friday with the hosts struggling at 93 for 4 in pursuit of 413 for victory. 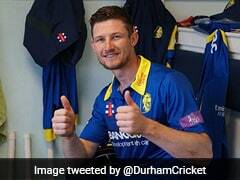 Lad's ton, studded with 17 fours and one six, enabled Mumbai post a second innings total of 268 for 9 declared before the bowlers took over. Resuming at the overnight 58 for 3, Mumbai lost wickets in the space of less than 30 runs including that of captain Aditya Tare. However, Lad and veteran Abhishek Nayar, who came together at 85 for 6, arrested the slide. 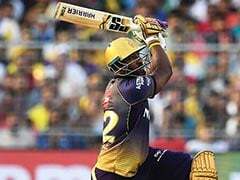 Lad, who looked to mix aggression with defence, added 57 runs with Nayar and another 76 runs with Akash Parkar (21) to revive his team. A ninth-wicket partnership of 42 runs with Shardul Thakur rubbed salt into Odisha's wounds and extended the lead beyond the 400-mark. 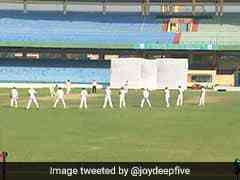 India international Ravindra Jadeja went wicketless for 87 runs in his 19 overs but Saurashtra managed to enforce a follow-on on Jharkhand at the end of the third day in a Ranji Trophy group B encounter, on Friday. In reply to Saurashtra's 553 for 9, Jharkhand was all out for 270 runs in their first innings as the hosts got a whopping 283-run lead. After being followed on, Jharkhand were 139 for 1, still 144 runs in arrears. They would be eying to bat the whole day in order to at least get a point from the game. Off-spinner Vandit Jivarajani (4/33) bowled well as Jharkhand lost last six wickets for 65 runs. Ishank Jaggi (114) and Ishan Kishan (59) added 133 runs for the fifth wicket stand before Jivarajani ran through the middle and lower order. In the second innings, opener Nazim Siddiqui smashed unbeaten 83 off 58 balls with 11 boundaries and two sixes. Saurashtra 553/9 decl. 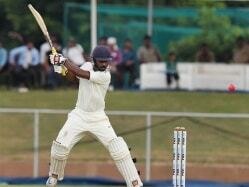 Jharkhand 270 (Ishank Jaggi 114, Ishank Jaggi 59, Vandit Jivarajani 4/33) and 139/1 (follow on) (Nazim Siddiqui 83 no).